Thankfully I’ve never had to rely on my Mac backup, but it runs to an EMC Iomega NAS drive that I have in my house, (which also has all my media on it). The backup on “target-name” is already in use. Time Machine couldn’t complete the backup to “target-name”. 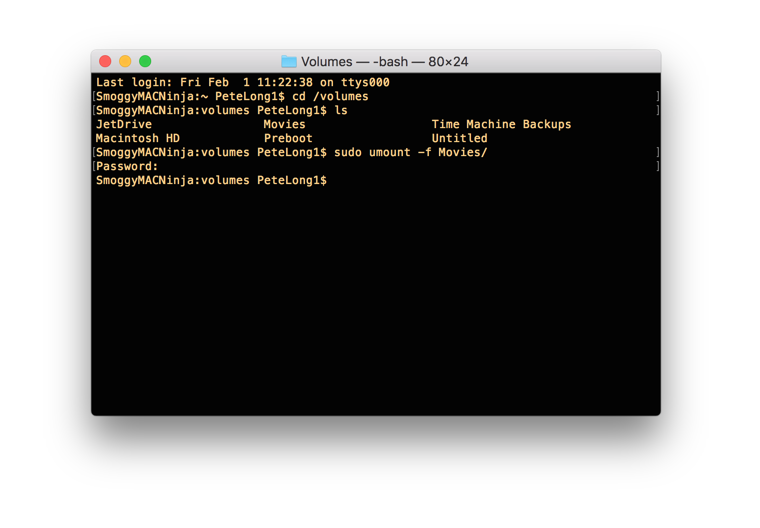 The backup disk image “/Volumes/Volume-Name/Mac-Name.sparsebundle” is already in use. Now rebooting the NAS drive cures the problem, but (as stated) it’s got all my media on it which is then inaccessible for 10-15 minutes (not good if I’m watching a film, or TV series). 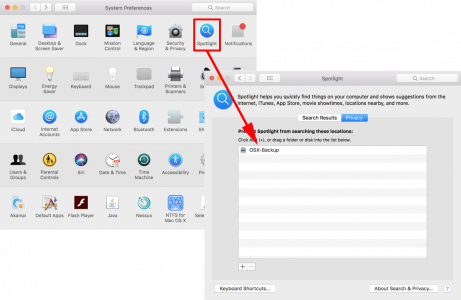 What you need to do is open System Preferences (click the ‘apple’ logo and select System Preferences) > Spotlight > Privacy > Add > Add in the backup volume. Reboot your mac, (or dismount and remount the backup volume) > problem resolved. For example, below I’ve got a folder called ‘Movies’ mounted and it’s on the same device, If I remove that with the following command, my backup will start almost straight away.